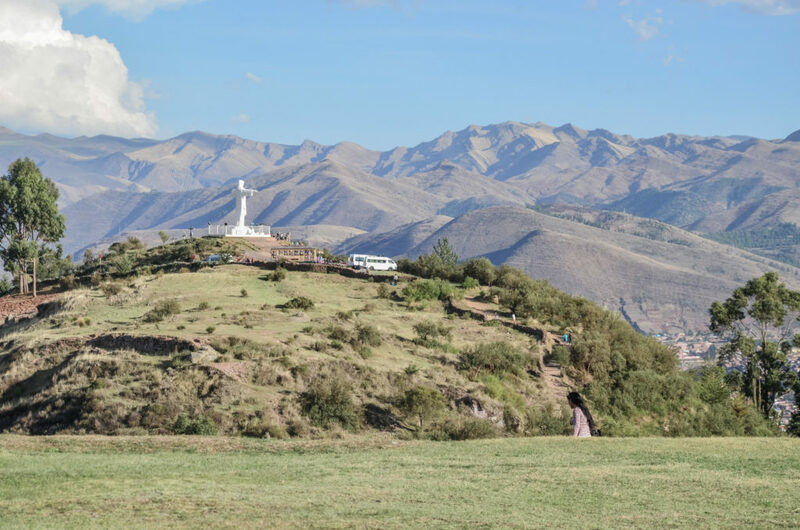 In the altitude of 3 400 m above the sea level, in a large valley surrounded by ochre hills, we can find the ancient center of the Inca Empire and nowadays’ Mekka of tourists. 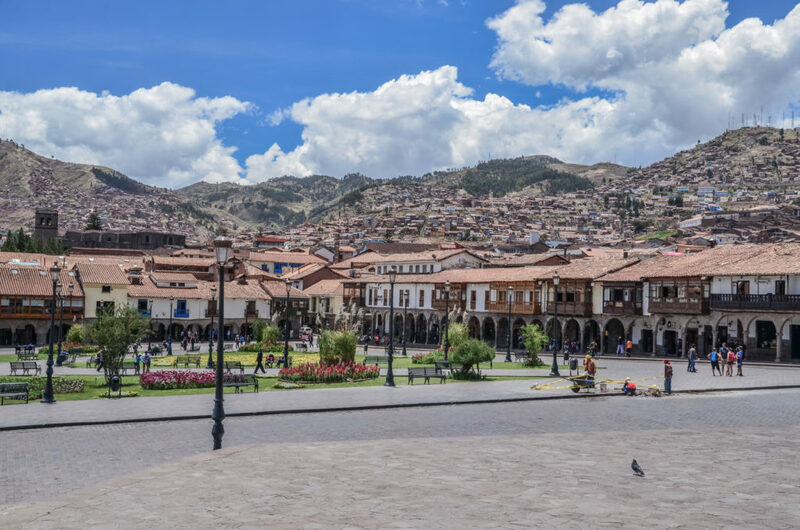 Cusco was founded in the 12th century by the son of the Sun and the first Inca, Mánco Capac, and marked consequently by 11 other Incas until it was taken over by the Spaniards in 1533. 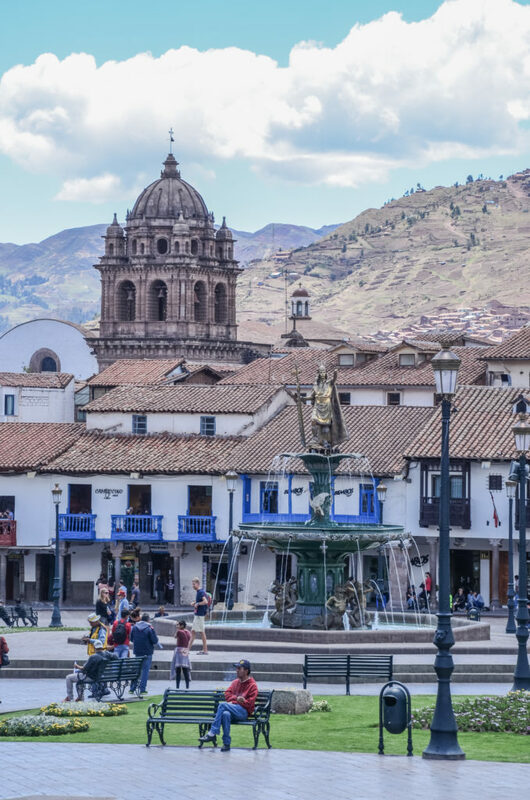 Today, Cusco is known for its colonial style architecture, archeological discoveries including some Inca ruins, but also as the entry point to Machu Picchu. 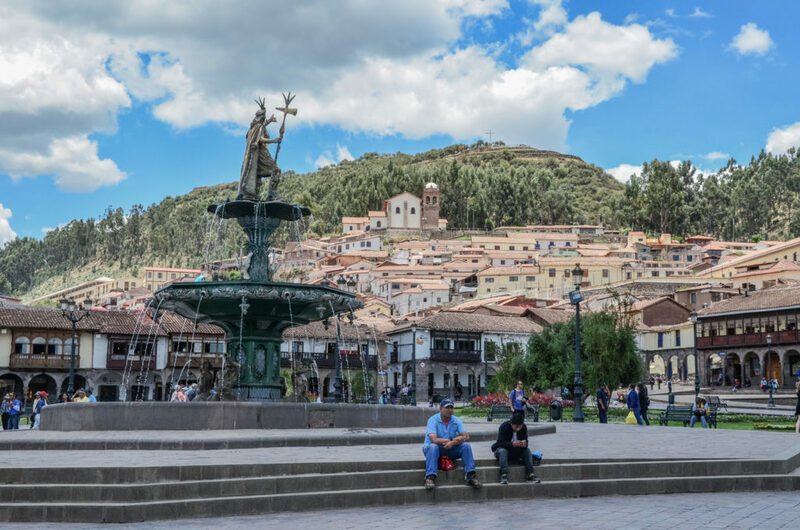 It is simply a beautiful town that you can’t miss on your journey to Peru! 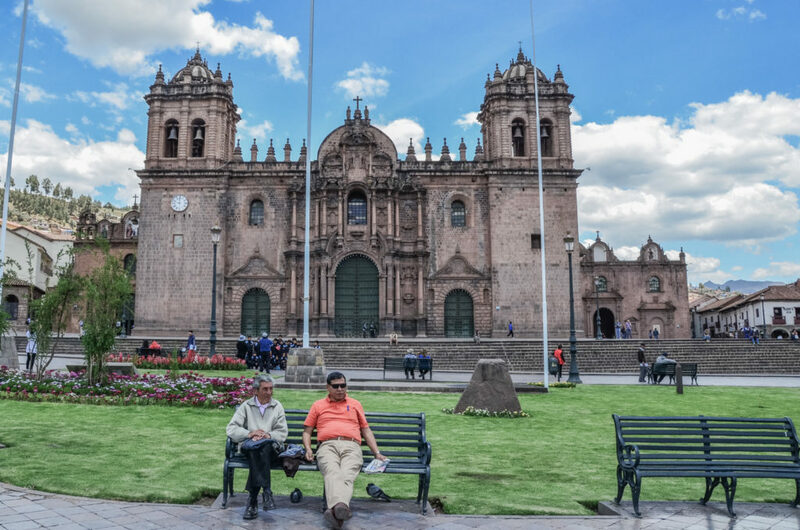 Here are some ideas of what to see in Cusco and its environment such as the ruins around Cusco that are worth seeing. Upon our arrival to Cusco early morning, we took a taxi to our hostel. He noticed that we were bleeding from our nose and started to explain to us that this was not only concerning tourists and that they have as similar experience when they go to the coast for example. The simple fact of changing the altitude causes problems to humans with no correlation to physical state or general health. As we arrived from Arequipa which lies also pretty high, we were only bleeding from the nose but no other problems, thank God! 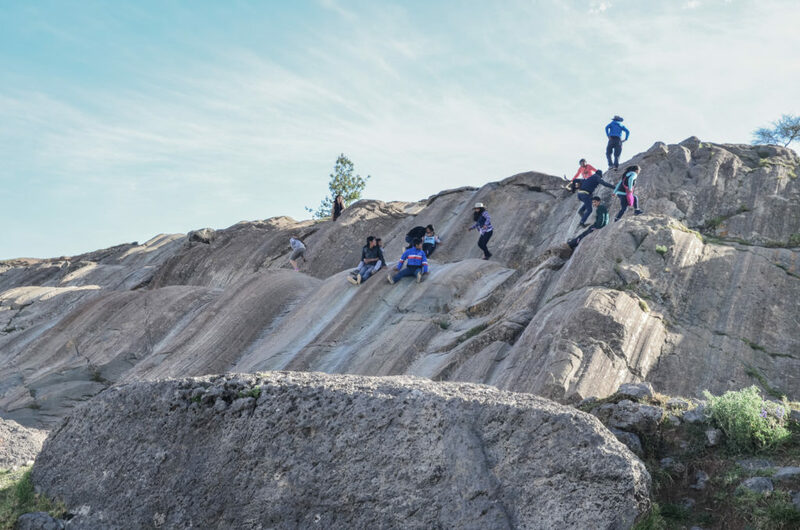 Usually, you should plan at least 1 day just for the acclimatization before charging your plans in the city that lies at such a high altitude. 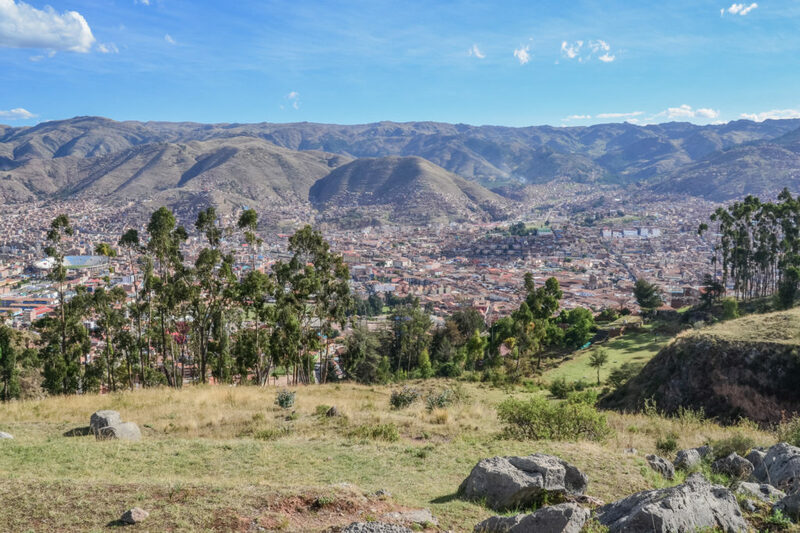 As you may not expect, Cusco lies nearly 1,000 meters higher than Machu Picchu! 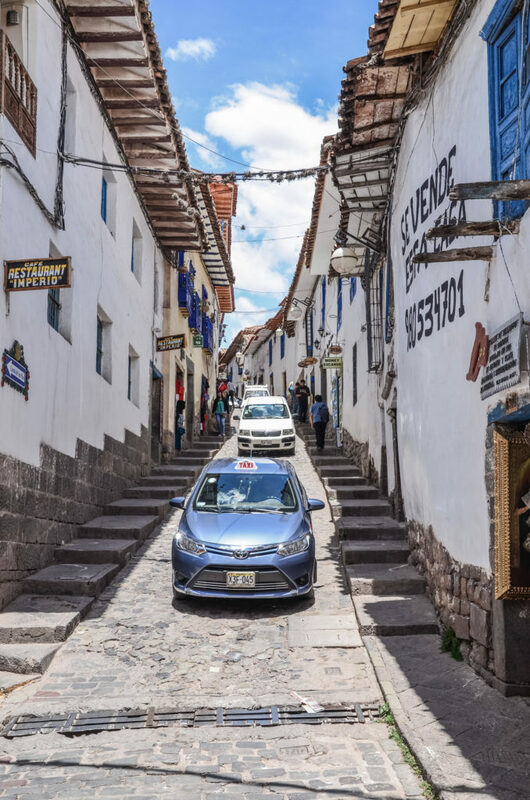 In addition to the lack of oxygen in the high altitude, there is much pollution in Cusco due to the increasing car traffic. The cars are everywhere – they also pass by steep and narrow streets of the city center. Therefore, sometimes your wanders in the city may be subject to not only frequent stops in order to get some breath but also the need to pay attention to cars. 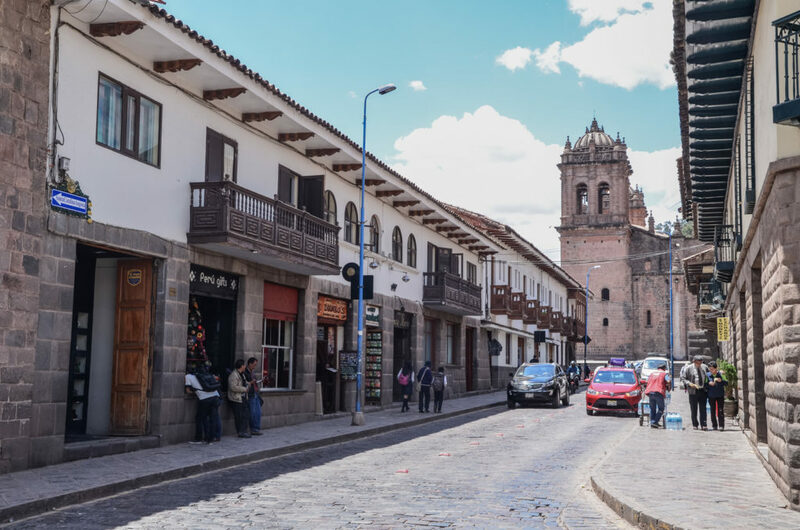 The center of the city is beautiful, but as the tourism develops in the region, it is adjusted to tourists and the local inhabitants are pushed to the outskirts. 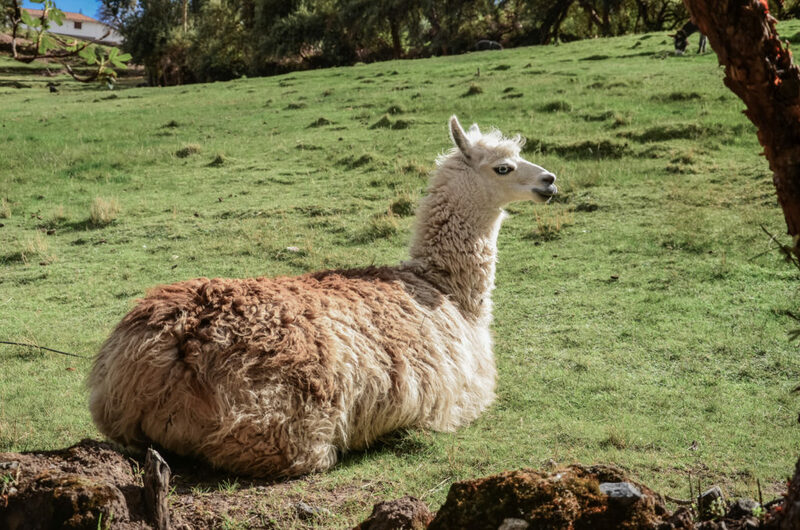 Americans, Europeans, Asians, Australians – all these pass through Cusco when heading to Sacred Valley of the Incas. Many agencies, restaurants, and hotels are situated here. You will still see some locals, though: selling food in the streets, walking the llamas or little goats and waiting for tourists or simply working in the shops and restaurants. The architecture in the center reflects the works of Spaniards after they overtook the city in the first half of the 16th century. 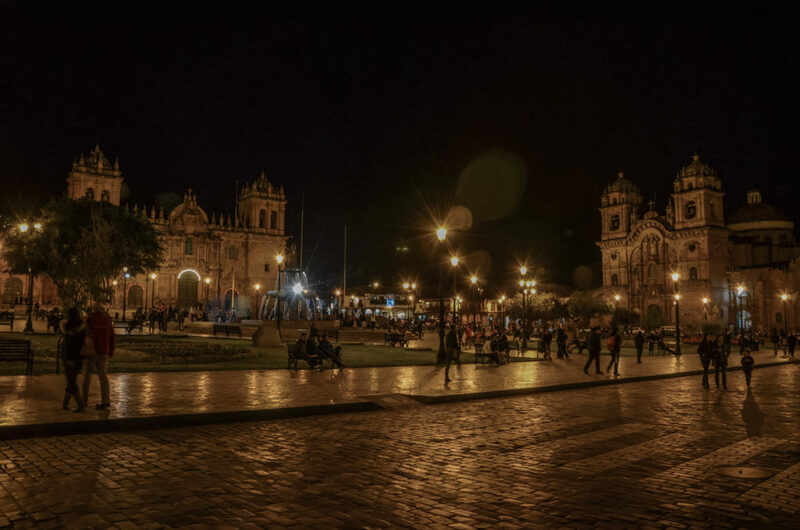 After strolling down the streets of Cusco, arriving at plaza de Armas, one can say this is one of the most beautiful cities in Peru. 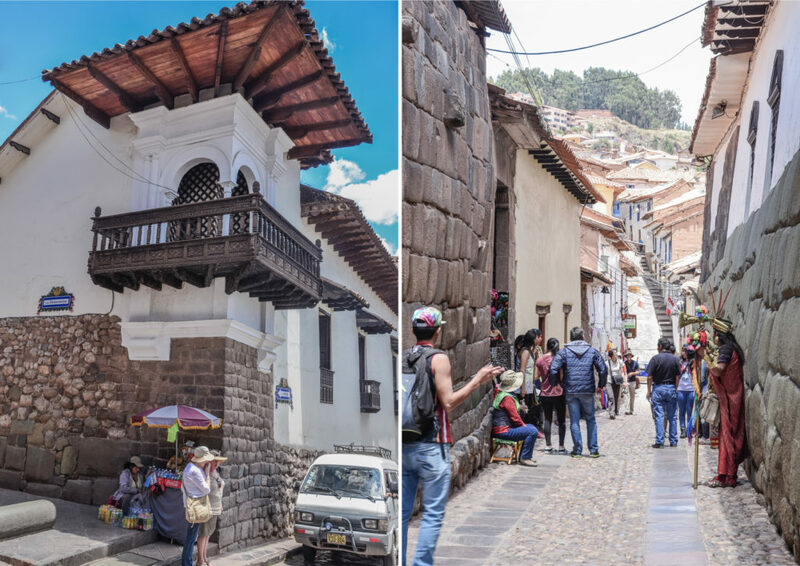 Many buildings in Cusco are built on the pre-Colombian bases – the best place to see this is a narrow street called Calle Hatun Rumiyoc. 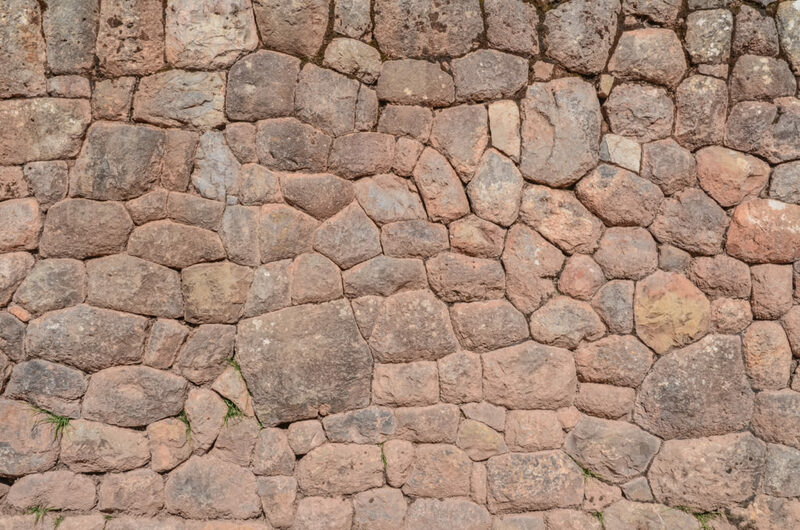 You can notice that the Incas were able to masterly carve the stones in a way that they stick together without a mortar just with the gravity and it is not possible to even slip in a sheet of paper. Necessary to say that this was not damaged even during the bad earthquake in 1950! 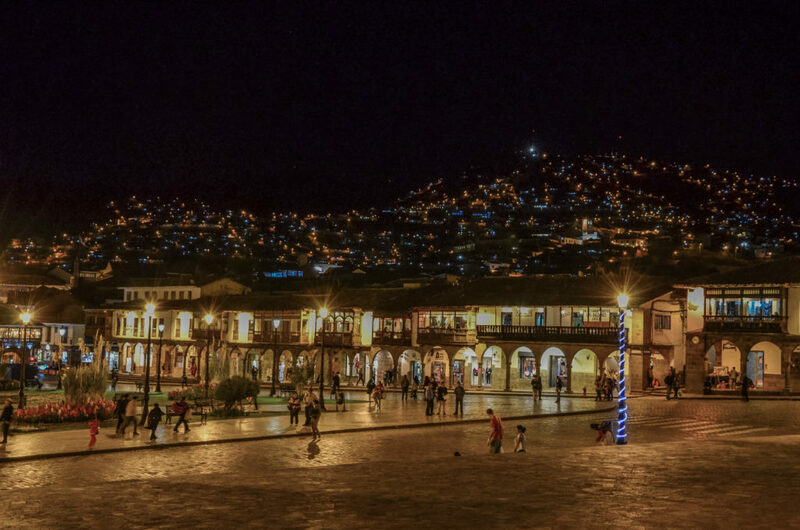 The beautiful central square called Plaza de Armas is surrounded by arcade houses and 2 important churches: Cathedral of Cusco and Iglesia de la Compaňía de Jesús. 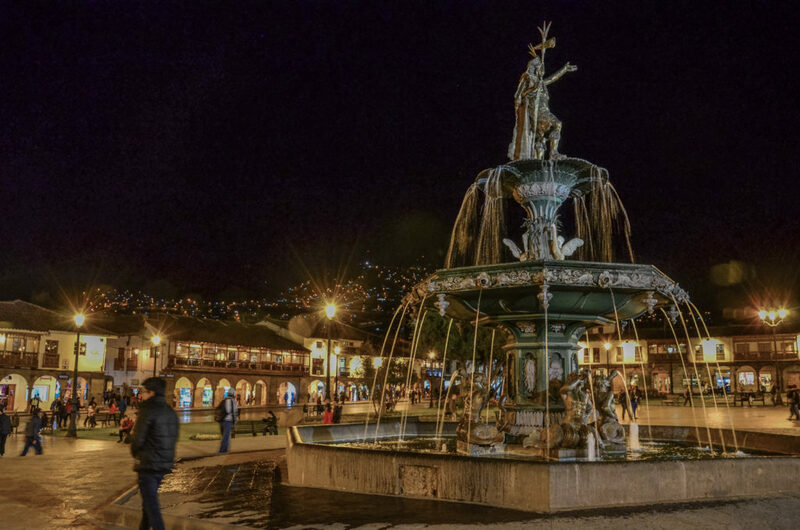 In the middle of the square, there is a statue of Túpac Amaru who was executed here in 1572 by the Spaniards which is considered as the end of the conquest of the region. 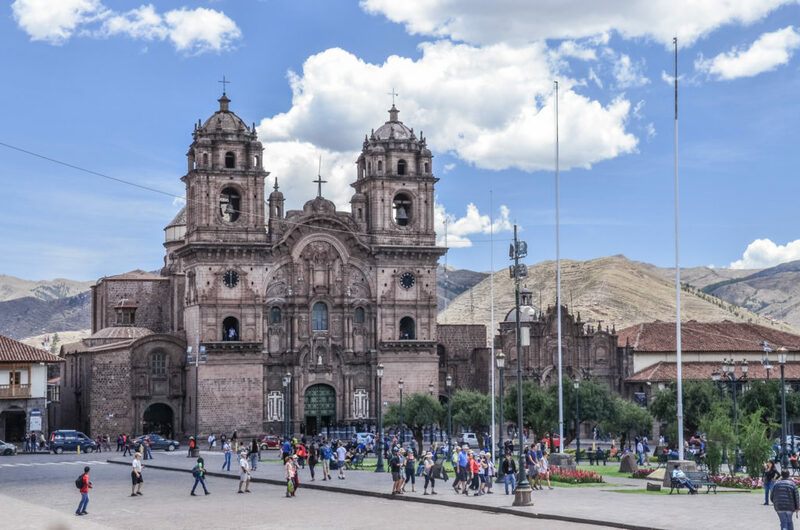 The Cathedral of Cusco together with the Cathedral of Lima belongs to the most important religious buildings in Peru. It was built on the base of the ancient palace of Inca Viracocha and the works took nearly hundred years. Since 1983, the cathedral is listed as a UNESCO site. Jesuit church Iglesia de la Compaňía de Jesús was built on the base of the ancient palace of Inca Huayna Capac. The works started in 1576, but in 1650 the earthquake partially damaged the new construction (the pre-Colombian base stayed preserved). After several years of renovation, the church gained its baroque look thanks to which it is considered as one of the most beautiful baroque churches in the South America. You need to see the square twice – during the day but also during after the sunset! As the city is surrounded by hills and houses are built even on the slopes, during the night there are plenty of lights above the city! 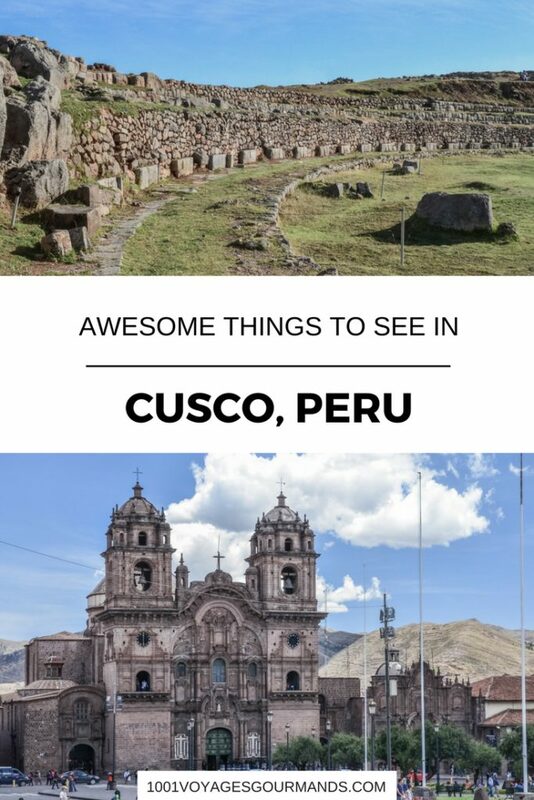 This is definitely one of the top things to see and do in Cusco. At the time when Cusco was the center of the Inca Empire, the temple Coricancha was a complex of temples literally covered with gold. When the Spaniards arrived, the took all the gold and destroyed the temple. Later on, a Dominican temple Santo Domingo was built here. The pre-Colombian base was preserved and therefore you can observe a blend of two completely different cultures. There are various museums in Cusco and some of them are really worth visiting. As we got the boleto turistíco*, the entry to the Museo de sitio del Qoricancha was part of it, so we checked it out. The museum is located under the Coricanha temple and illustrates the Peruvian history. 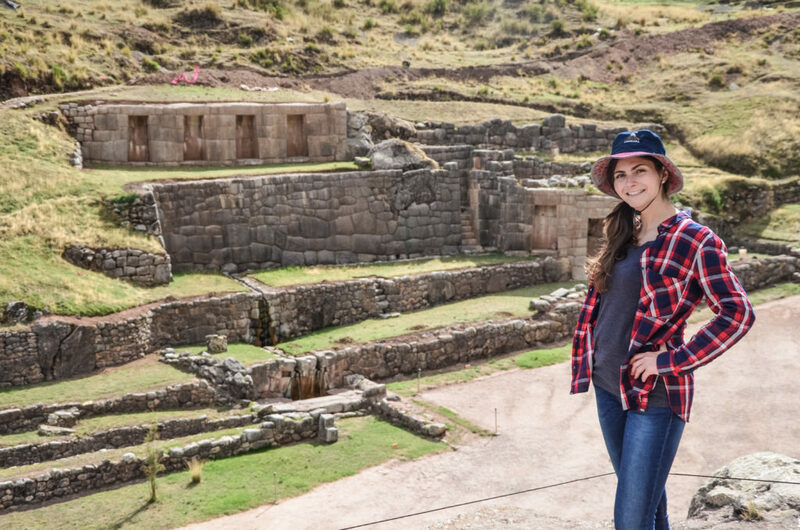 You can see some archeological discoveries from Cusco and the region. I have to say that we learned some interesting things such as how exactly the skulls of kids were enlarged or that the Inca architecture had 4 different styles. But after reading more about the museums in Cusco, I realized there are some museums that worth the visit much more such as the Inka Museum or Museo de Arte Precolombino. 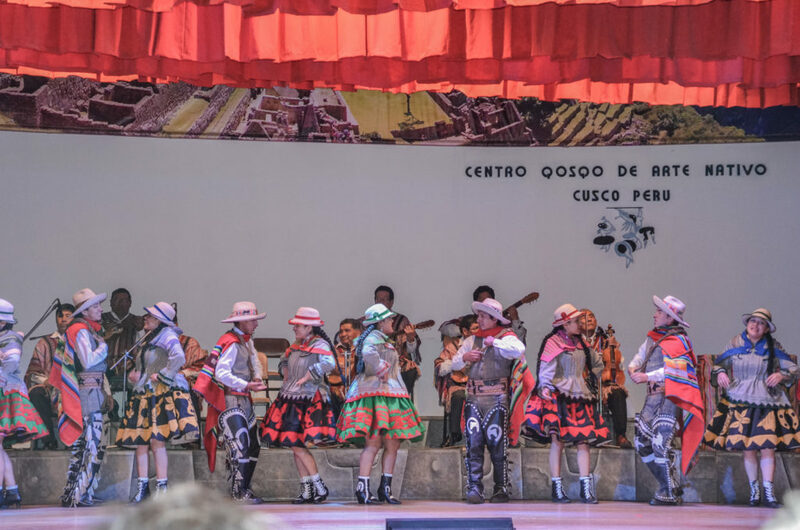 In the evening, we went to see a performance of the traditional regional dance in the Centro Qosqo de Arte Nativo, which was also included on the boleto turistíco*. 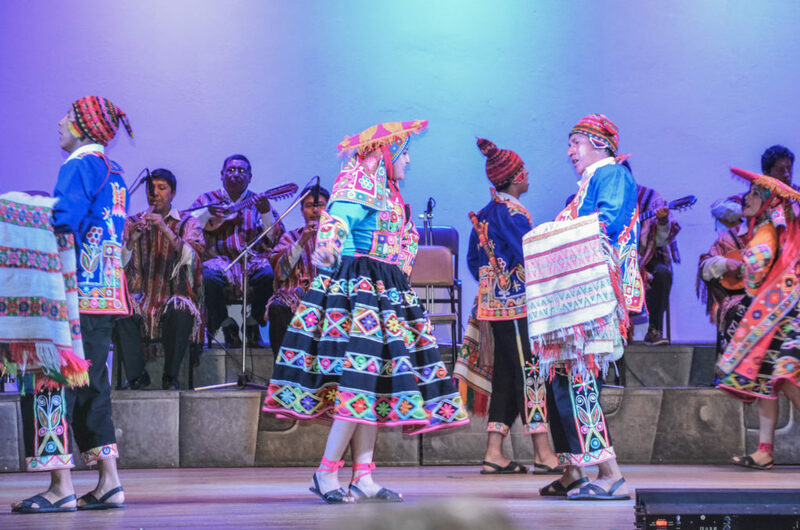 It was really cool – the dances were accompanied by live Peruvian music from Cusco and the couples changed dress for every single dance. The performance lasted about an hour and at the end, we could also see the exposition of the traditional dress. About 10 minutes of walk from the Plaza de Armas, you can find a large covered market where you will see many products from vegetables and fruit to cheese or bread. I was fascinated by the variety of potatoes. 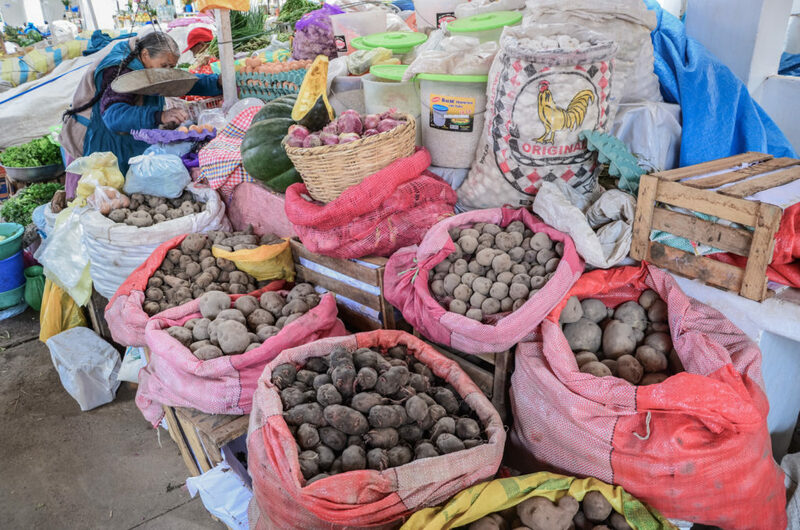 In the whole country, they have over 3,000 varieties of potatoes! You can also grab something to eat here or some fresh juices. Just pay attention to hygiene and pickpockets. 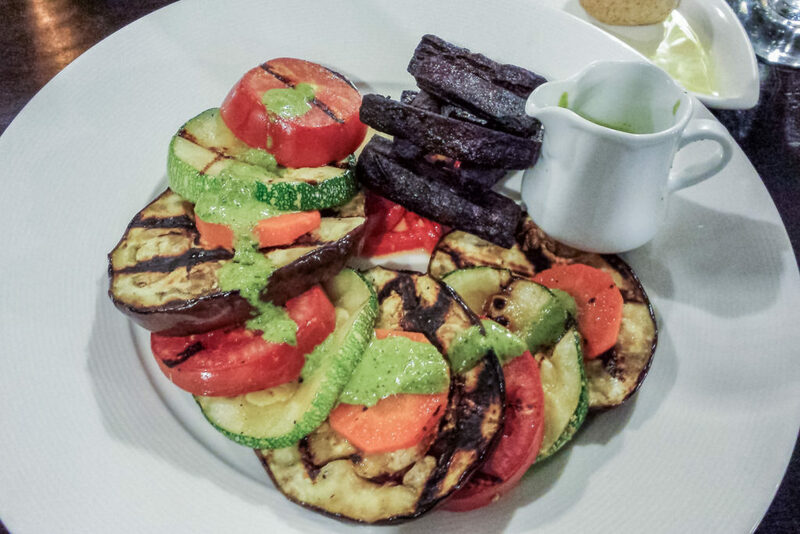 El Encuentro Vegetarian Restaurant (Santa Catalina Ancha 384, Cuzco) is a small vegetarian restaurant which was always full! They have also some sandwiches if you prefer to take away. Sara The Organic Bistro (Santa Catalina Ancha 370, Cuzco) is a place where we had the best quinoto (something like risotto but made of quinoa) in Peru and a delicious grilled veggies salad with avocado dressing. 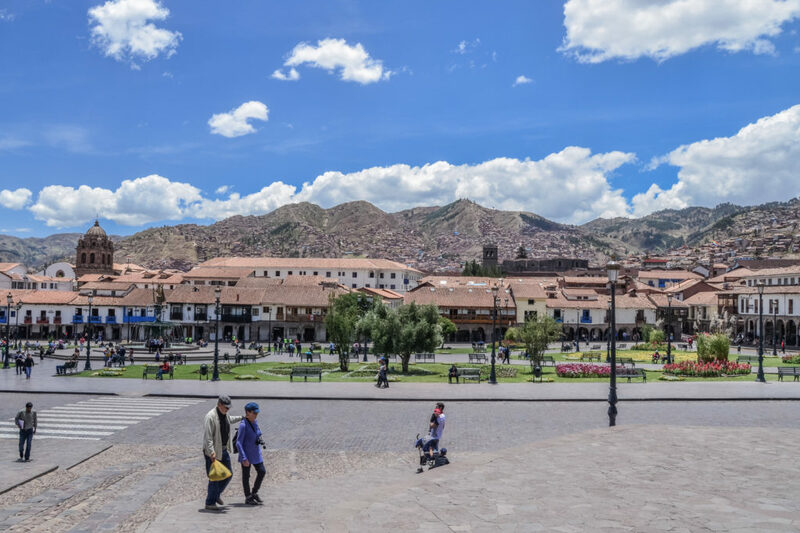 Apart from the tips on what to see in Cusco, I also have some tips on what to see beyond the city center – the Inca ruins. There are many agencies in the center offering half-day trips to the ruins. When we asked at the hostel, the receptionist also offered us a taxi guide for a lower price than it was the price offered by the agencies. As we already had a good experience with taxi-guides from Paracas and Ica, we agreed. The taxi-guide arrived at 3 p.m. and took us to the following ruins. We paid separately for the taxi and then we got boleto turistíco* at the entry of our first stop, Tambomachay. 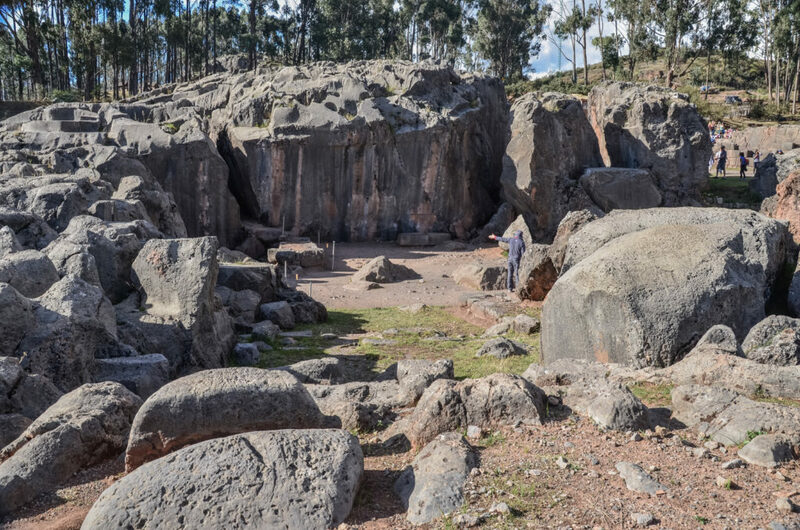 The archeological site Tambomachay lies about 8 km from Cusco and it was our first stop. A set of finely carved stone structures with a system of small aqueducts, canals, and waterfalls that distribute water coming from the nearby hot springs into a stone basin. 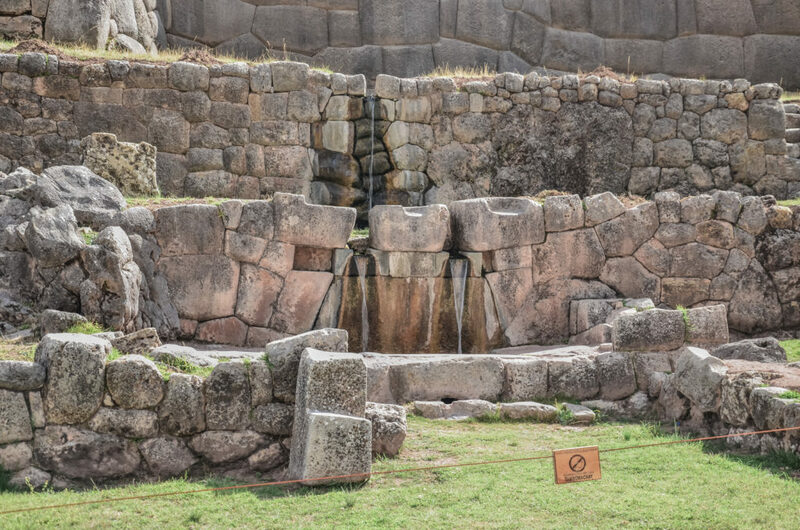 The place is also known as Inca baths as it is believed to had been a place where the Inca used to clean his mind and body. Tambomachay is one of the most sacred and peaceful places from the whole Machu Picchu complex. 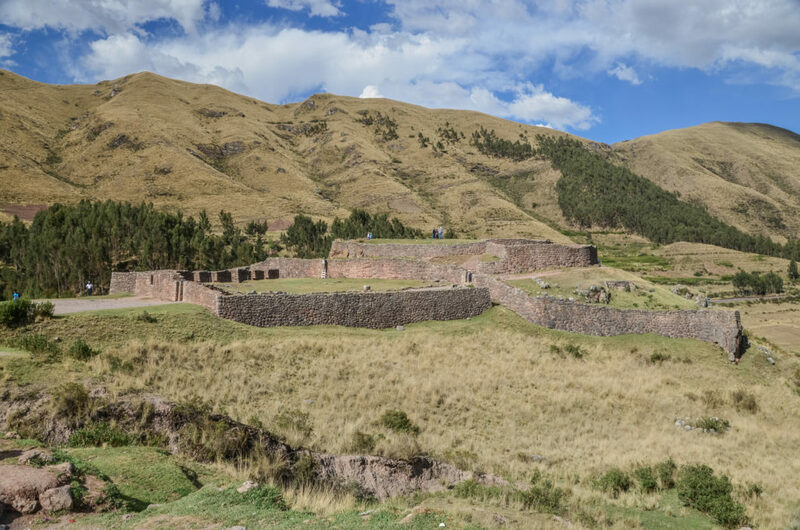 This complex of military ruins lies close to Tambomachay. The name comes from two Quechua words: puka which means red and pukara which means fortress, probably because the rocks here are red. 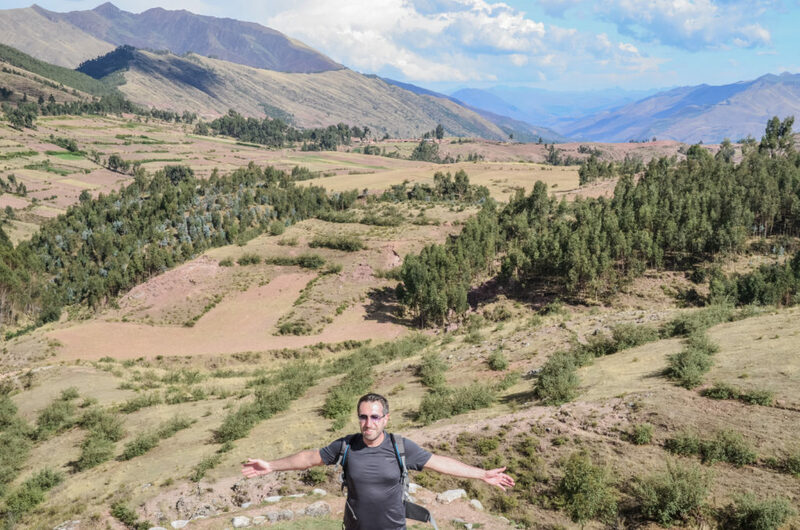 There is a beautiful view of the Cusco valley from this site, so one can say that it was well placed for its function to control the important parts of the Inca empire. 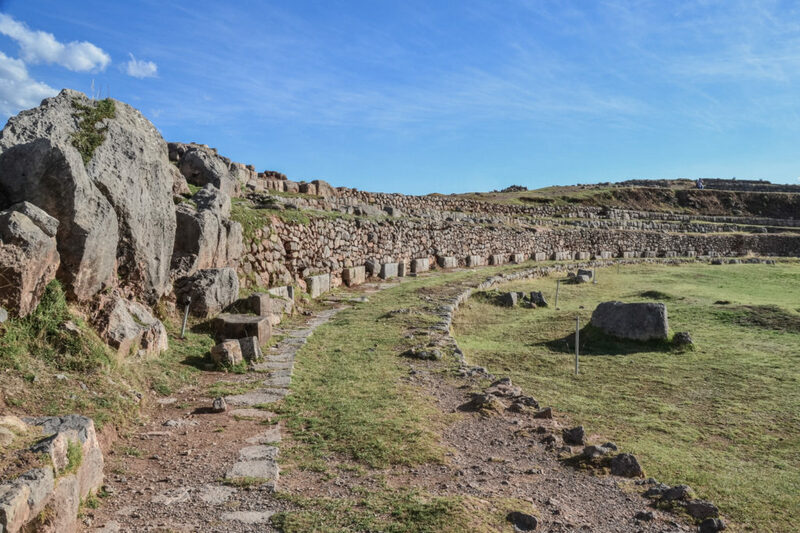 From Puka Pukara, we continued to Kenko, a large archeological complex built on the Socorro hill above Cusco. 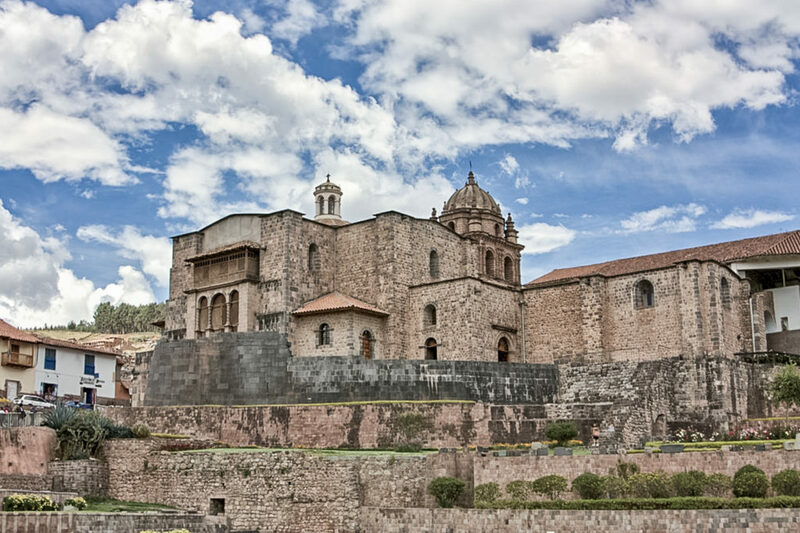 It is one of the largest holy places in the Cusco region and it is a place where rituals were organized. The complex was destroyed during the colonial period, although some carved stones remained. The underground chamber made of carved stones is fascinating. It was a place where the llamas were sacrificed while being poured on the sacred drink called Chicha. The adjacent amphitheater surrounded by 19 stone seats served for public rituals and ceremonies. Our last stop was at the most spectacular site located only 2 km from the city center. Ruins of Sacsayhuaman overlook the imperial city of Cusco from the altitude of 3,700 m. Some of the stones used here are so huge that it is a mystery how they were transported and carved so well that they fit the structure. Some think this might have been work of the aliens, some others believe that works were done during the reign of Inca Cusi Yupanqui by approximately 20,000 men. Cusco was created in a form of a puma which was a sacred animal and a symbol of force for the Incas. 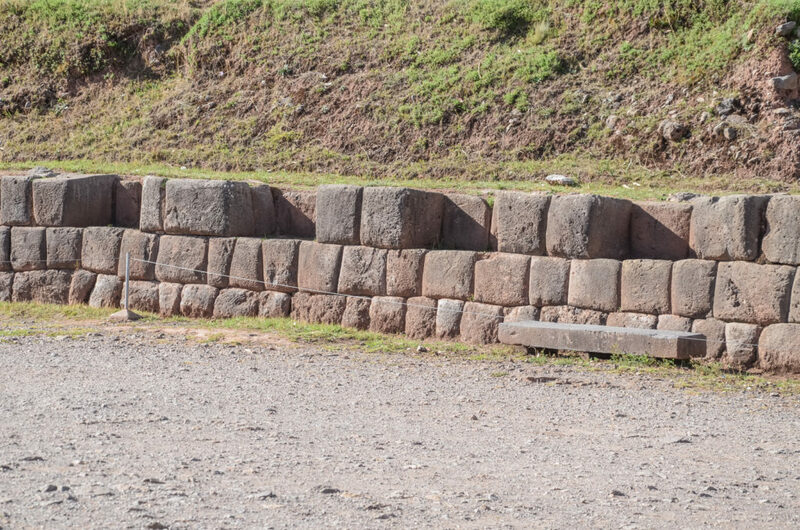 With Plaza de Armas and Coricancha positioned as a belly, the avenue Tullumayo and El Sol as its tail, Sacsayhuaman symbolized the head of a puma. The ruins constitute of three parallel walls built in different levels and a large circle that is supposed to have served as a sun calendar. 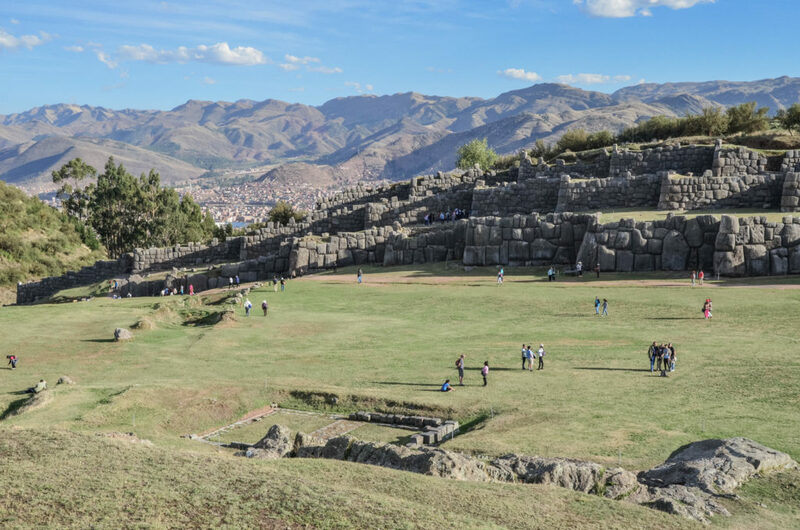 If you head to Cusco, Sacsayhuaman is a must. It is one of the most impressive things what to see in Cusco and you should really not miss it. You can also reach it on foot as it is located only about 2 km from the city center. *boleto turistíco is a ticket including several sites in and around Cusco. 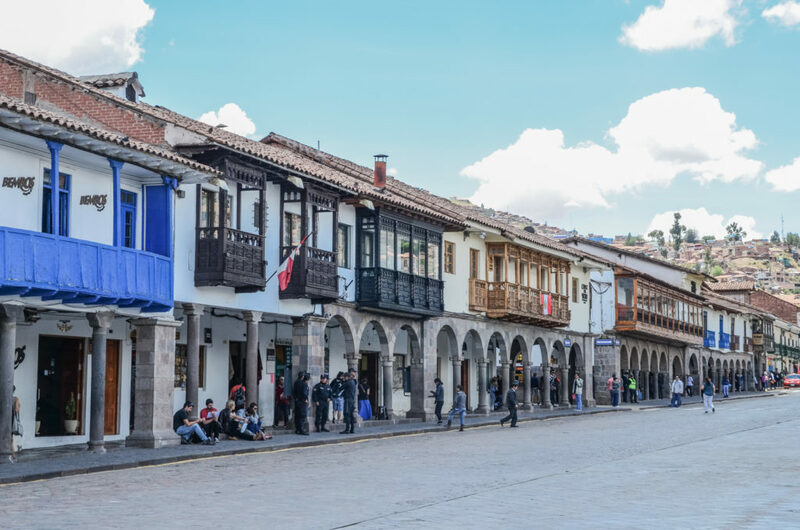 The normal one includes an entry to 16 sites: ruins around Cusco, some museums in Cusco as well as the most important sites in the Sacred Valley. The ticket with 16 entries will cost you 130 soles (students 70 soles). There are also tickets including sites only in Cusco or in the Sacred Valley for a lower price. Find more details here. Did you like the post? Then share it on social media or pin it for later use! Wow Cusco looks amazing! I didn’t know there was so much to do besides Machu Picchu. Would love to visit one day! Hi Kassie, indeed, there is so much to see and learn! Hope you get to visit it!